Gregory Lercel, MD is a board certified orthopedist who specializes in sports medicine, arthroscopic surgery, joint replacements and orthopedic trauma. 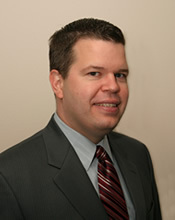 After completing his Bachelor of Science degree in biology from the University of California, San Diego, Dr. Lercel went on to receive his Medical Doctorate degree from The George Washington University in Washington, D.C.
Dr. Lercel completed his orthopedic residency at the University of Southern California and sports medicine fellowship at the Los Angeles Orthopaedic Institute. During his fellowship, Dr. Lercel gained additional training in arthroscopic and reconstructive procedures of the knee, shoulder, ankle and elbow. He also participated in the care of high school and college athletes both on the athletic field and in the training room. Dr. Lercel treats all age groups in a wide variety of operative and non operative conditions involving the shoulder, elbow, wrist, hand, hip, knee, ankle, and foot. He is a diplomat of the American Board of Orthopaedic Surgery, and is an active member of the American Academy of Orthopaedic Surgery and California Orthopaedic Association.